KING KONG VS GODZILLA (62) may not be the finest appearance of either characters but I confess to finding it rather enjoyable. I took great pleasure lending the disc to my nephew after a viewing in my home. He then tortured his poor mother by insisting upon watching it at least 20 times before she informed him Uncle Mark had to have it back. 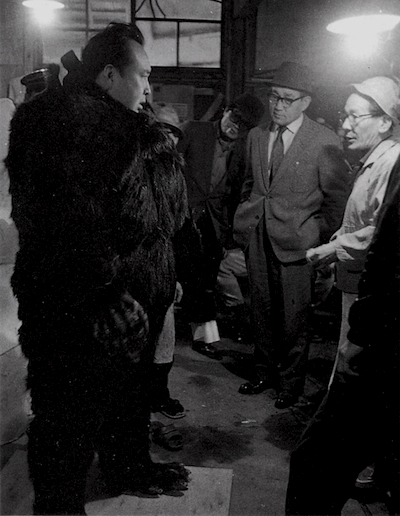 The photo comes by way of THE GOOD,THE BAD AND THE GODZILLA - check the link and learn a little of the troubled production and the lawsuit filed by Kong animator, Willis O'Brien.